Sara Cadrain has performed in a variety of roles from accounting positions at large multinational corporations to financial executive recruiting and placement. During her career, she has continued to gain technical expertise in accounting and finance disciplines, while simultaneously expanding her organizational management and people development skills. Sara spent more than 15 years in corporate accounting with several Fortune 500 companies. A Certified Public Accountant, she has a broad and diverse experience base in such industries as financial services/insurance, manufacturing, and transportation. 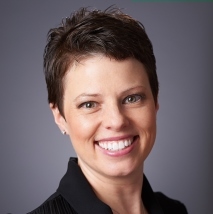 Sara has managed numerous business simulations as a TRI Corporation associates. These include a variety of undergraduate and graduate classes as adjunct faculty for Fairfield and Fordham Universities and Manhattanville College; a virtual business simulation capstone project as adjunct professor for Forbes Business School MBS program; in-residence executive education programs across the world for companies such as GE, Dell and CA Technologies; Finance for Non-Finance Professionals programs at GE and Quest Diagnostics; and virtual business simulations at GE, Dell and Nielsen.